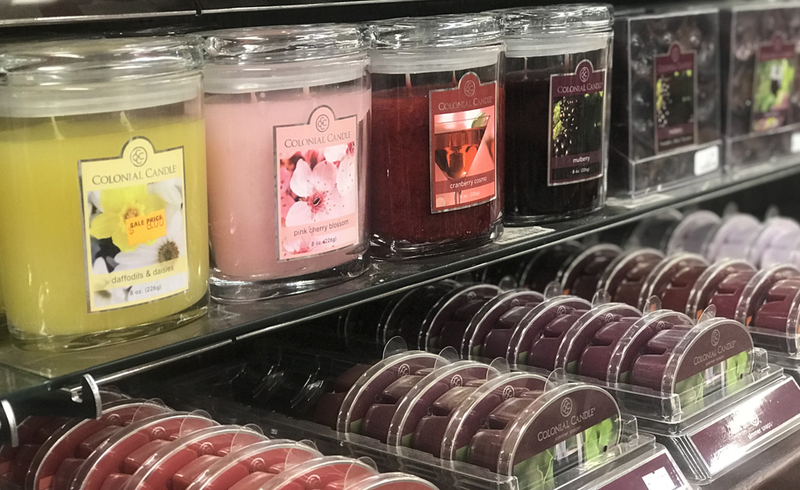 Set the mood, evoke a special memory, beautify your home – it all awaits you at Prairie Gardens & Jeffrey Alans with an incredible selection of fragrances from all the best brands, including Yankee, Woodwick, Colonial, and more. Season after season, from reliving favorite memories to setting a mood, Yankee shares your passion for fragrance®. Find one of the largest selections around from this industry leader with Jars, Tumblers, Votives, Tarts, Wax Melts, and Car Jars. Natural wooden wicks that crackle as they burn, a clean contemporary design, long-lasting scents, and a clean burn all combine to set Woodwick Candles apart. 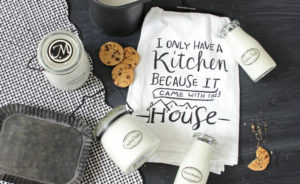 Tumblers, Ellipse Jars, Diffusers, wax melts and more – find them crackling in store. The creator of decorative fragrance®, Aromatique Fragrances are designed to reawaken your most fond memories and enhance your home with a beautiful, classic design with fragrances available in Potpourri, Diffusers, Jars, Melts, and more. Poo Pourri’s blend of natural essential oils traps oder under the surface, so all you smell is a refreshing goodness. It’s the spray-as-you go toliet spray! For more than 100 years, Colonial Candle® has been burning brightly in the homes of America. Started in 1905 out of Mabel Baker’s tiny Cape Cod Kitchen, the signature oval jars of Colonial Candle® are still proudly made in the USA. Find the perfect vessel for every type of candle with Lanterns, Holders, Rings and Containers. Mix and match an incredible selection of Home Accent styles to accessorize your home for every season. Long lasting and beautifully realistic, finding your favorite flameless battery-operated candles is easy with many different styles, sizes, and colors. Plus, with flickering and moving flames available…you’ll think it’s the real thing. Discover the magic of flameless battery-operated candles with Luminara. They sway, dance, and flicker so convincingly…you have to see it to believe it. With optional timer and remotes, the magic is easy to master. The Milkhouse blend of waxes is simple: pure beeswax and natural soy wax from soybeans grown in America’s Midwest. No artificial dyes are added and there is no lead in the wicks. The Milkhouse blend of waxes provides a safe and clean-burning alternative to paraffin candles. No matter the special event or get-together, find a large selection of tapers, floaters, votives, pillars, and tarts. With many colors, styles, and sizes at prices you’ll love, you’ll create the perfect ambiance no matter the occasion. The irresistible fragrances of spring await you.